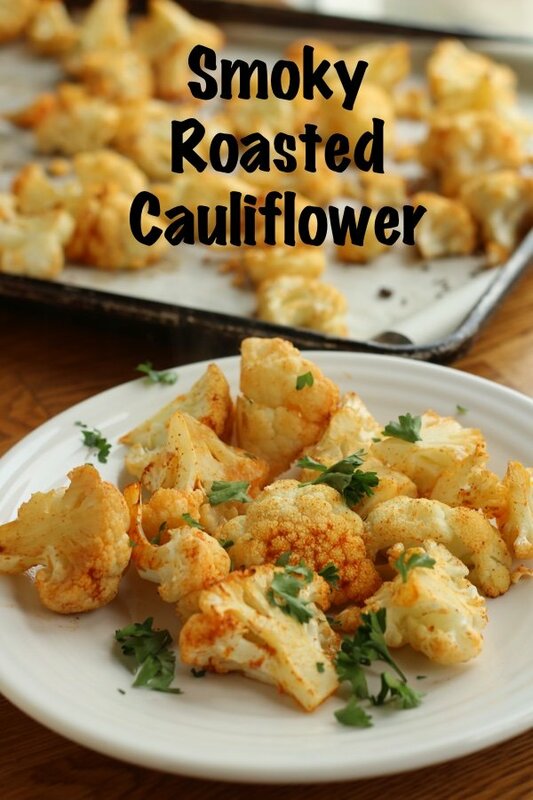 Oven roasted cauliflower is a staple for those of use who can tolerate cauliflower. I happen to love cauliflower but many of my readers do not. This fact does not stop me from pushing cauliflower because it is both nutritious and low in calories. You really can’t go wrong eating cauliflower unless you deep fry it (and why would you do that - yuck!). I don’t like plain, steamed cauliflower (boring) so I have come up with a bunch of recipes such as Potato Salad Made with Cauliflower and Crunchy Cauliflower Recipe. 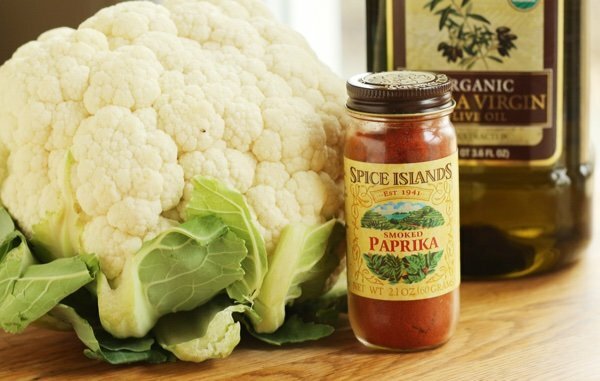 This recipe using one of my favorite spices to lift the cauliflower from bland to exciting - smoked paprika. You use a little of this and get punch of flavor that reminds one of barbecue. Smoked paprika is in the spice section right next to the Hungarian paprika. It is made by smoking sweet peppers and grinding them up. The spice is not spicy hot but sweet so don’t be afraid. All you do is rub the cauliflower with the paprika, olive oil, and salt. How easy is that? Toss it on a tray (lined or unlined with parchment paper) and roast at 450 for 15 minutes. Any vegetable that you love can be roasted this way with a little bit of olive oil and salt. Adding smoked paprika may not work for some stronger tasting vegetables (asparagus perhaps). I add smoked paprika to my pulled pork recipe since I don’t use a smoker. I keep asking for one for Christmas but no dice. I have a friend with one and he makes the most divine meaty treats. Perhaps it is a good thing that I don’t have one! What do you have? A side dish, a great addition to any omelet or salad, a breakfast with some brown rice, a topping for cupcakes (not). 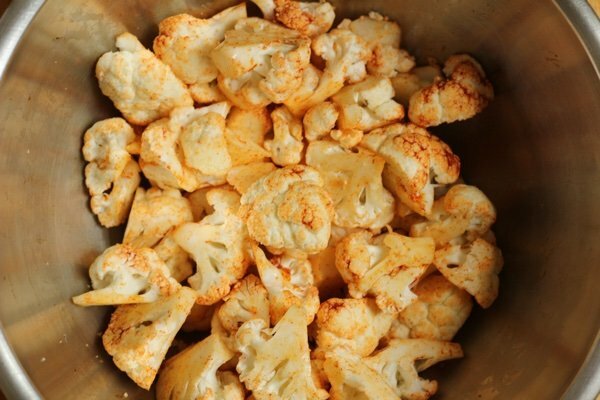 How do you make your oven roasted cauliflower? What do you put on it? Preheat oven to 450 F. Line a large rimmed baking sheet with parchment paper (for easy clean-up). Place cauliflower in a large bowl. 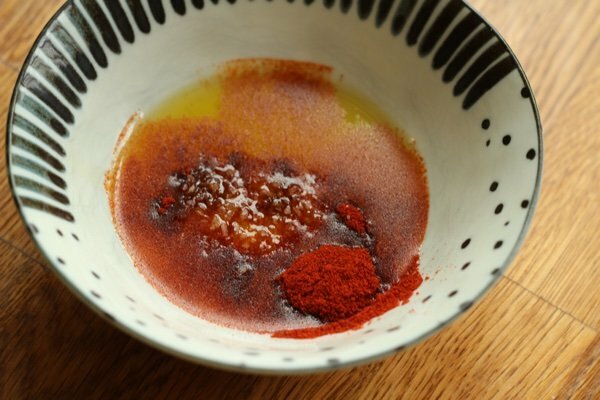 In a small bowl, mix together olive oil, paprika, and salt. Drizzle over cauliflower and toss with your hands to fully coat. 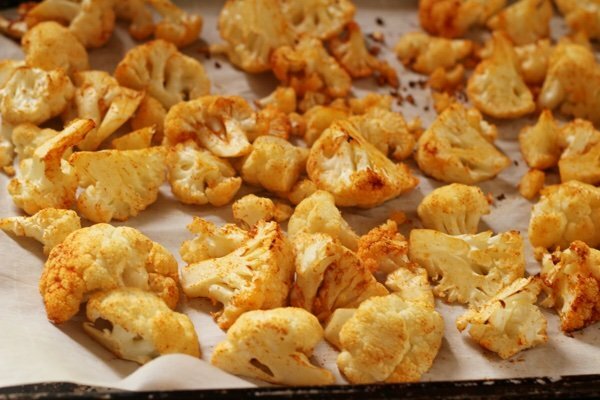 Put cauliflower on the lined baking pan and roast for 15-20 minutes or until tender. Toss on parsley (if desired) and serve immediately. Can be enjoyed hot, cold, or room temperature. Great idea, the smoked paprika! I'll try it soon. 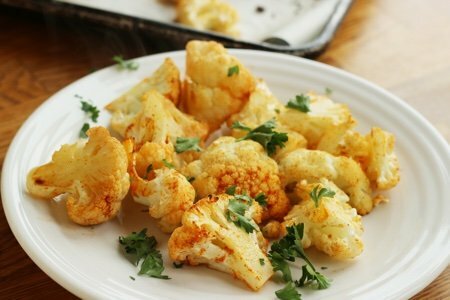 I have recently started using the spice mix Za'atar, and I'm going to try that on roasted cauliflower, too, thanks to your inspiration with the paprika. I LOVE cauliflower!! Thanks! or steamed. I just do. I’ll try your recipe, too, Lisa. Yum!